On December 22nd, I was convinced I couldn’t write another word. Not. Another. Word. I had been polishing off some edits of ‘Secret’ and my brain felt like it was about to explode. I decided that there was no rhyme or reason for the pace I was keeping. I could just stop. At least until the new year, I would stop writing and give my ideas time to marinate, grow full and robust until I was ready to work again and they would by then be brimming over with flavor and texture and dimension. But here it is, a mere week later and I already have The Itch. All writers get it. It’s that irrepressible urge to go to your computer, or your notepad and pen and write. You go through the motions of doing all the other things you need to do in your life: you shower, you eat, you take care of your family if you have one, you pay your bills and try to concern yourself with mundane details. But really, your mind is elsewhere. A little voice inside is begging to be listened to and it’s whispering, ‘You have to write!’ I can’t remember not hearing that voice, having that itch, feeling that urge. And now it’s back. Fed in part by ARC reviews of my latest book, The Itch has become a full-sized rash and I woke up this morning at 4:37 a.m. staring at the ceiling, wondering whether it would be foolish to get up and visit with Trey and Shayla, Darren, Tess and Paige, characters in ‘Secret’ who clearly have more to say. I managed to get back to sleep, but now am thoroughly convinced of what I honestly knew all along. 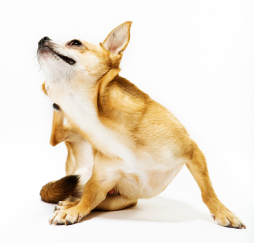 The only way- the only way– to get rid of The Itch is to scratch it. So that’s what I’m up to. The hell with waiting until 2013.